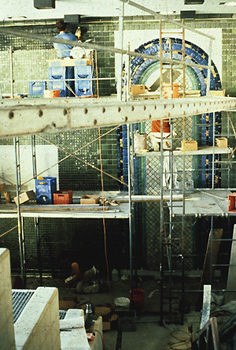 1986 Cadillac Station, Detroit People Mover Station, stoneware tile. Designed by Pancioli for Pewabic Pottery. Installed by private contractor. In honor of Mary Stratton, Pewebic�s founder.